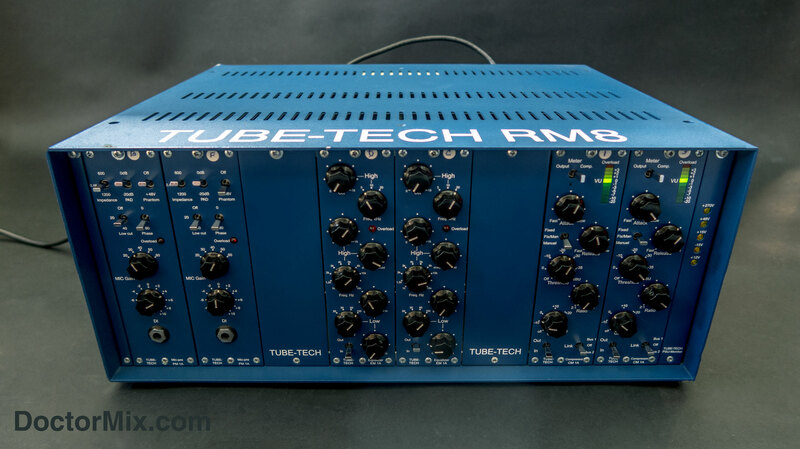 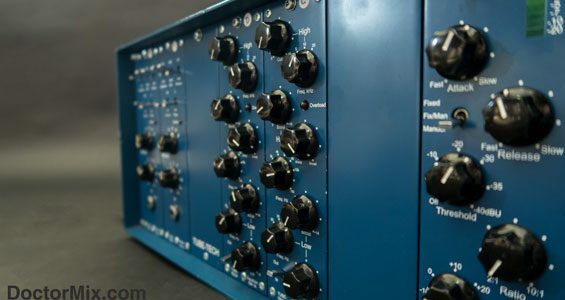 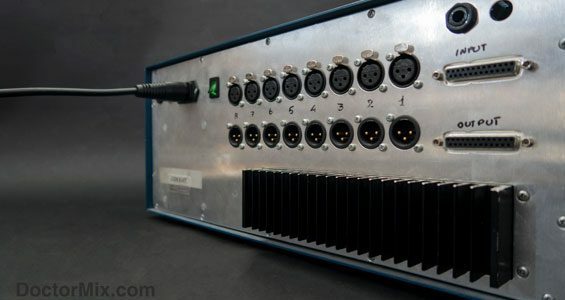 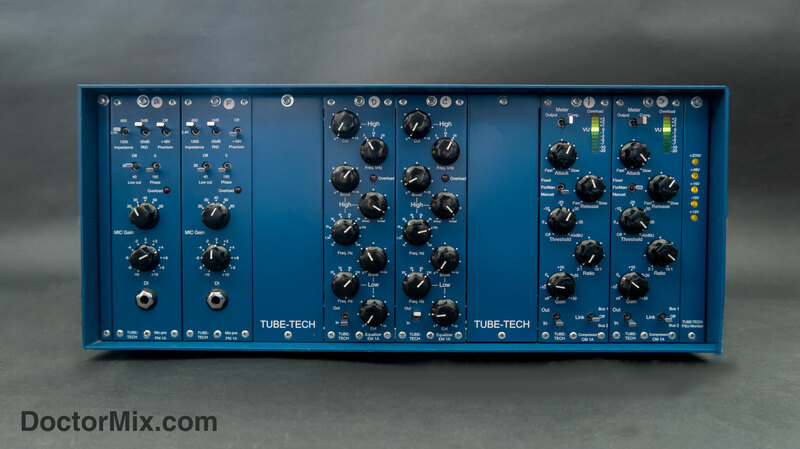 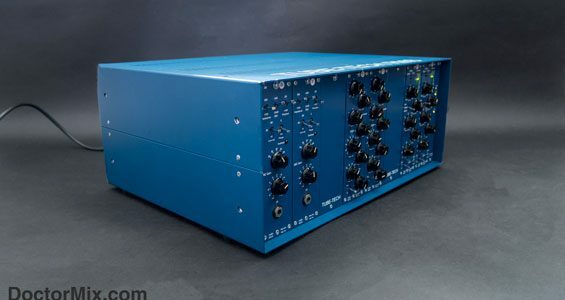 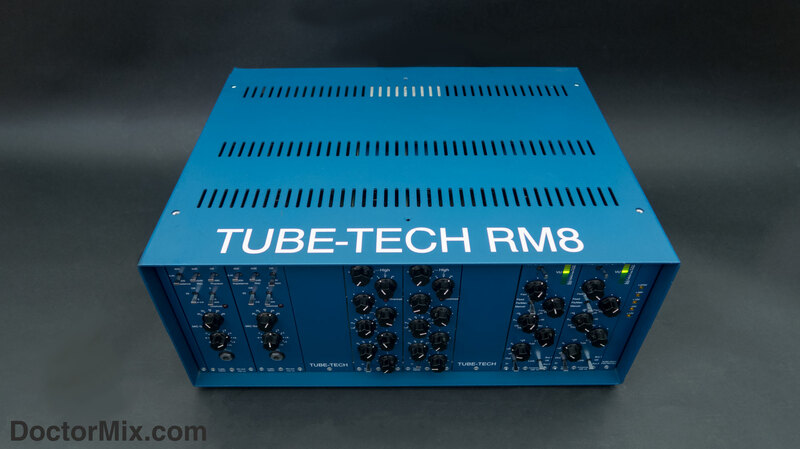 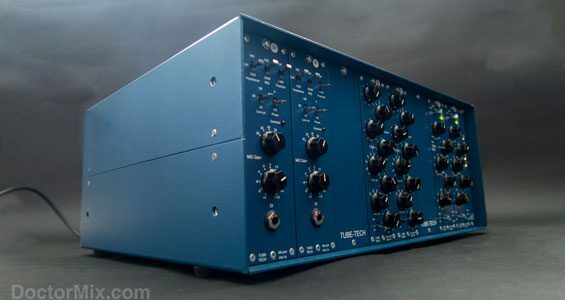 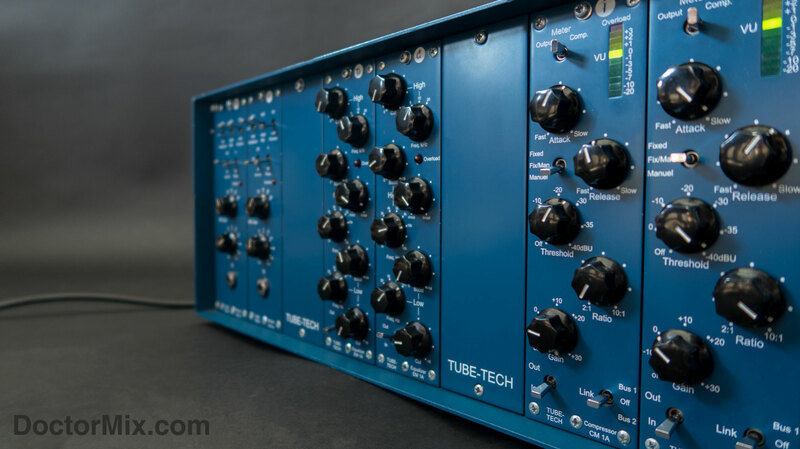 The Tube-Tech RM8 is a rack system designed to host the RM series modules. 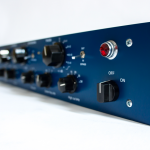 On this article we examine the PM 1A preamp, the EM 1A equaliser and the CM 1A compressor. 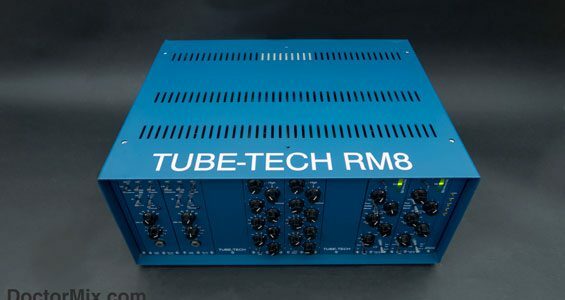 The RM8 system has a very solid steel frame and its “imposing” look inspires trust right since pulling it out of the box. 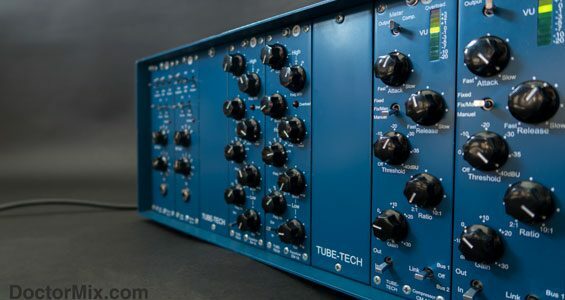 In Tube-Tech’s tradition, the PM 1A features an all-valve design delivering a sweet, warm and flattering tone.  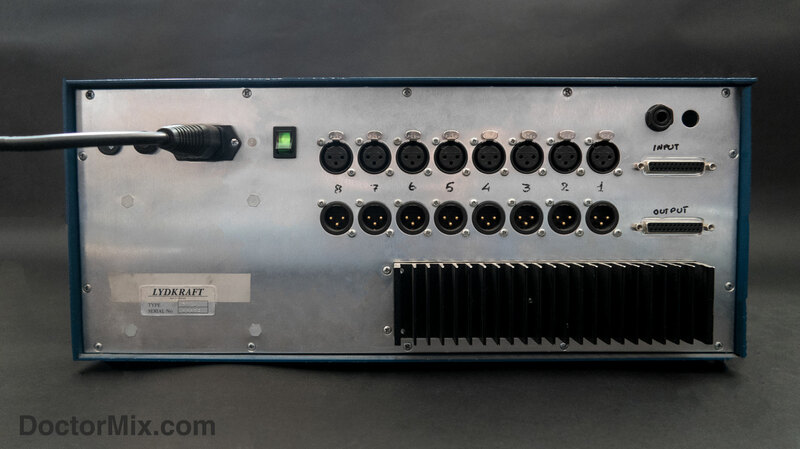 It can be used for microphones and line sources (back) and guitar/bass (front D.I.). 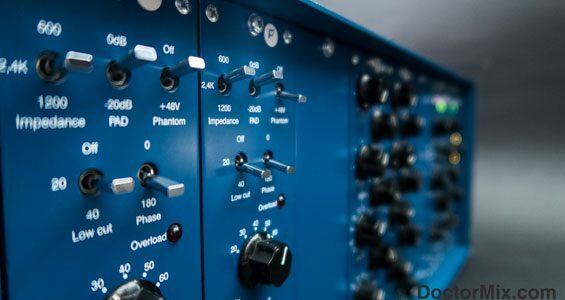 With a total of 70 dBs of gain, the PM 1A has 2 stepped controls (coarse and fine) to select the input gain in steps of 2 Dbs. 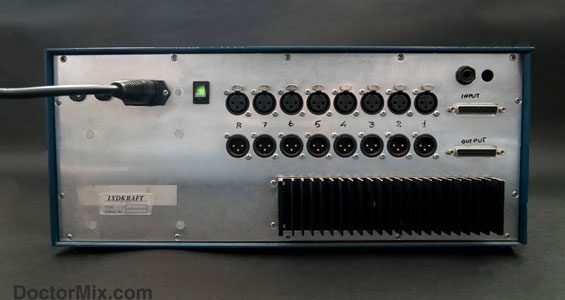 5 switches on top provide phase flip, low cut filter, phantom power, -20 dB pad and a very useful 3-position variable impedance control. 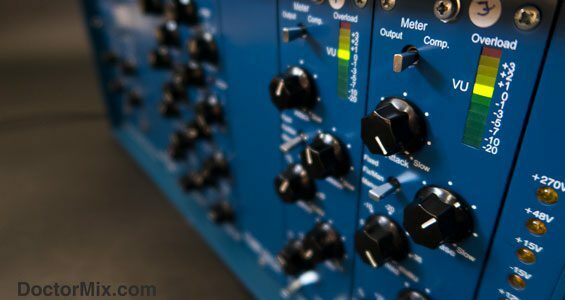 Finally a L.E.D. 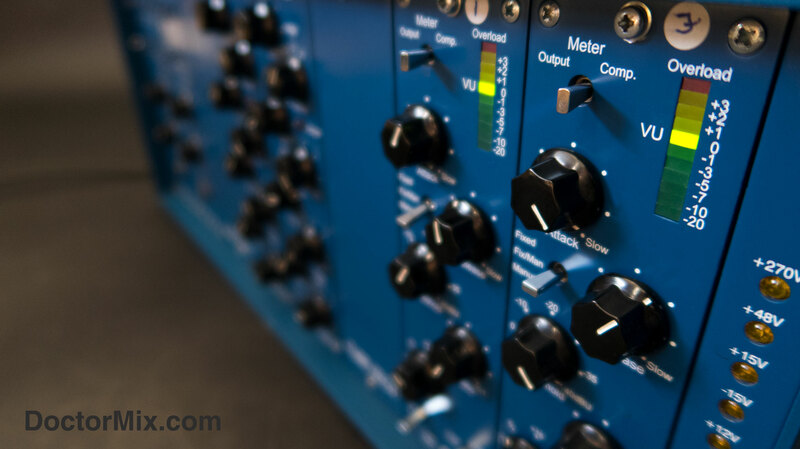 overload indicator is built-in the module to keep your saturation in check. 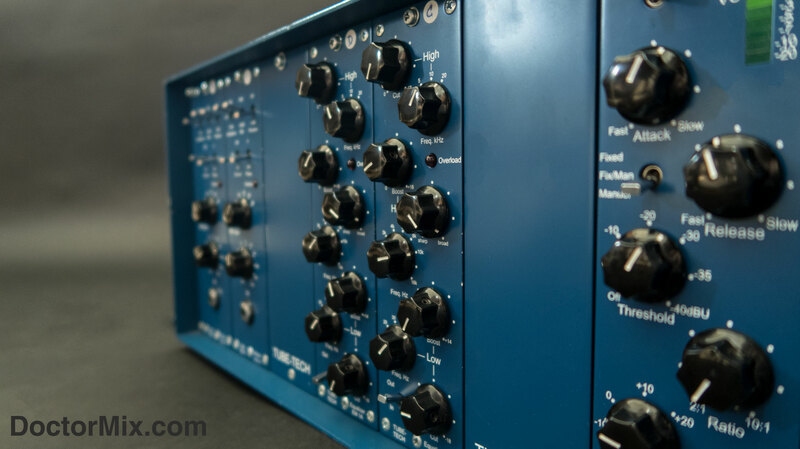 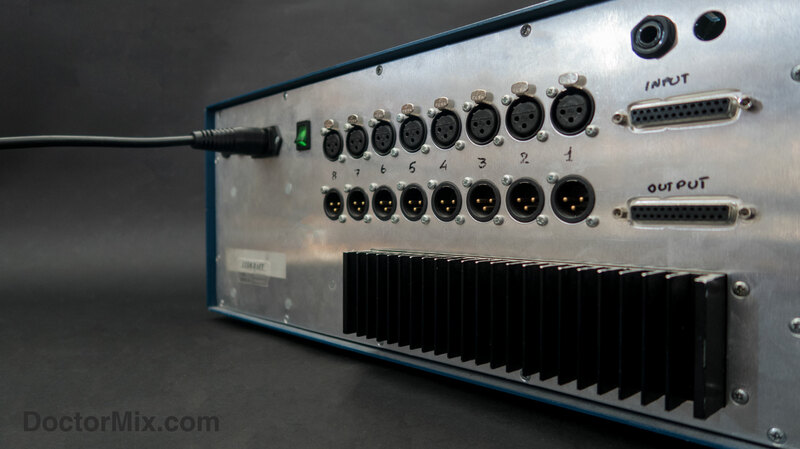 The EM 1A is a 5-stages, Pultec-style equaliser that seems to designed for enhancement rather than correction. 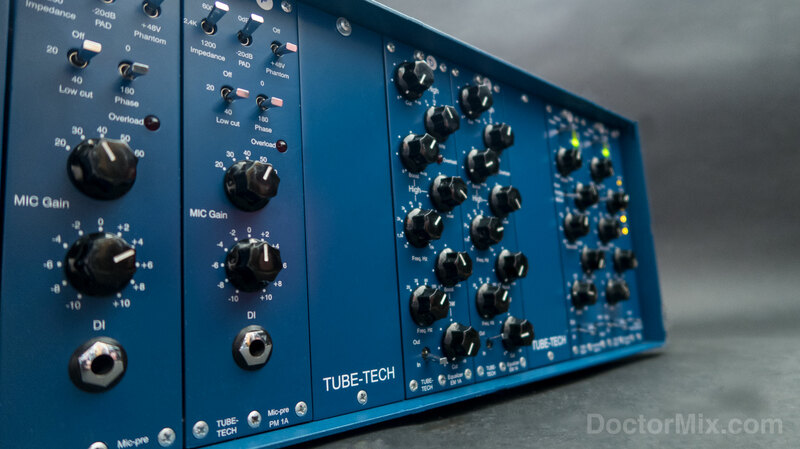 According to the manufacturer this high-end EQ is a meticulous replication of the PE 1C, one of Tube Techs classic pieces. 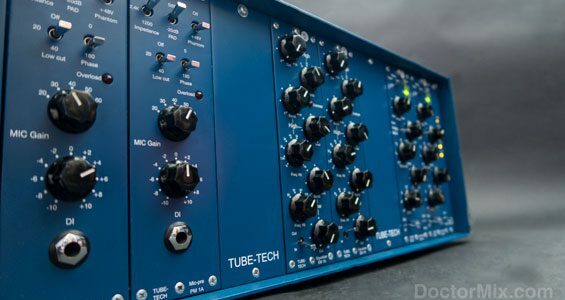 It sounds silky and “expensive” and it can be used drastically without ever sounding obvious or unnatural. 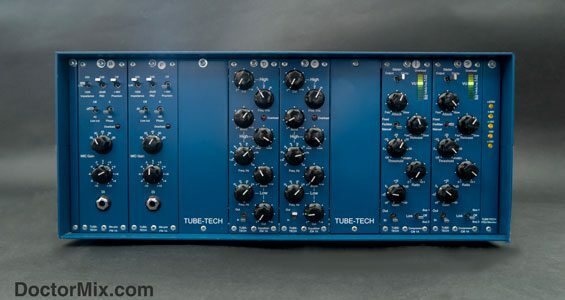 The LOW section has cut and boost controls (for the classic Pultec trick! 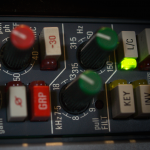 Check out our podcast where we explain it), the HIGH section goes from 1k to 16k with Q control. 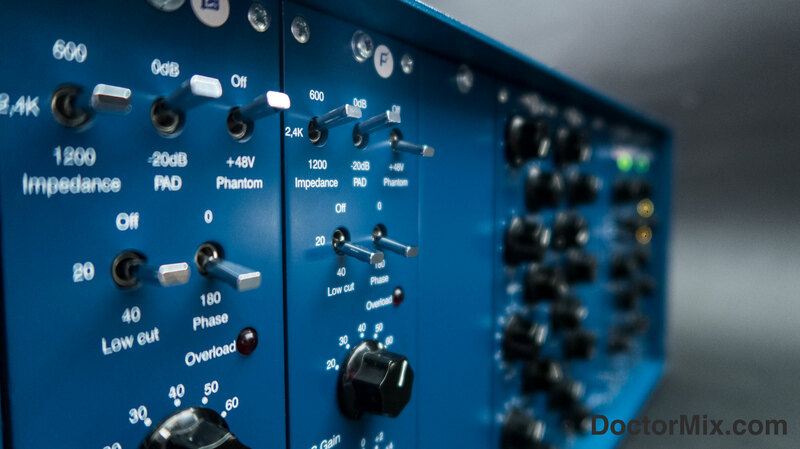 The A high cut filter can be applied from 5k to 20k with up to 18 dBs of reduction. 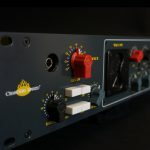 The CM 1A compressor module sounds smooth and warm as you would expect it to, being based on the same circuit design as the classic CL 1B Opto Compressor. 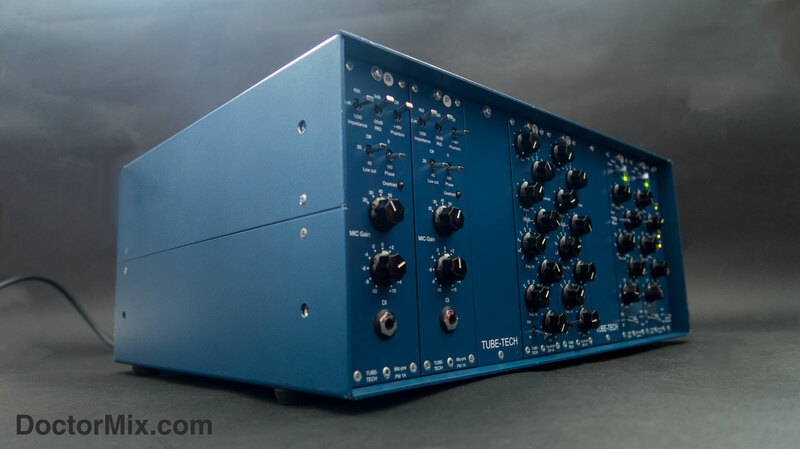 We find that it sounds stunning on any source we’ve ever used it on: bass, guitars, vocals, piano. 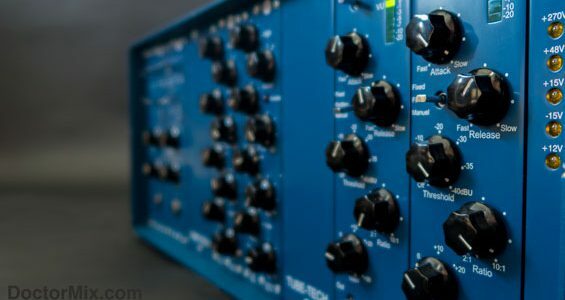 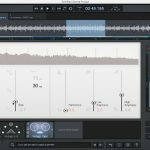 It’s also capable of maintaining perfect control over harmonically rich instruments such as strings, pads, and all those and sustained sounds where most compressors behave erratically: the CM 1A, despite having no side-chain control, always react smoothly and reliably. 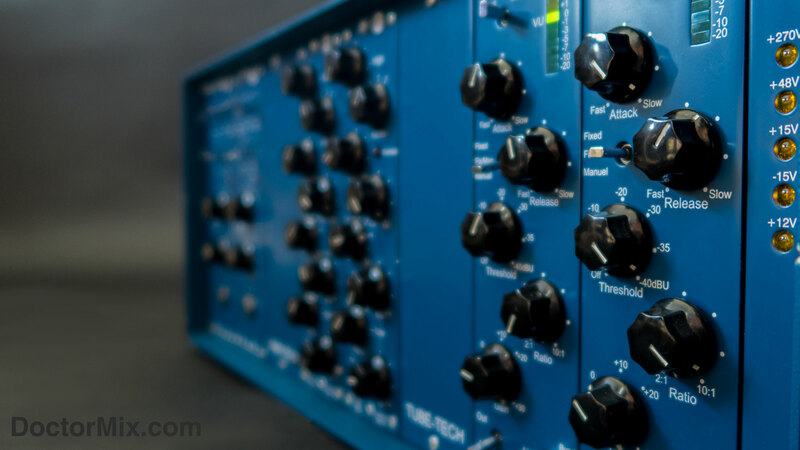 It has controls for: attack, release, ratio, threshold and make-up gain. 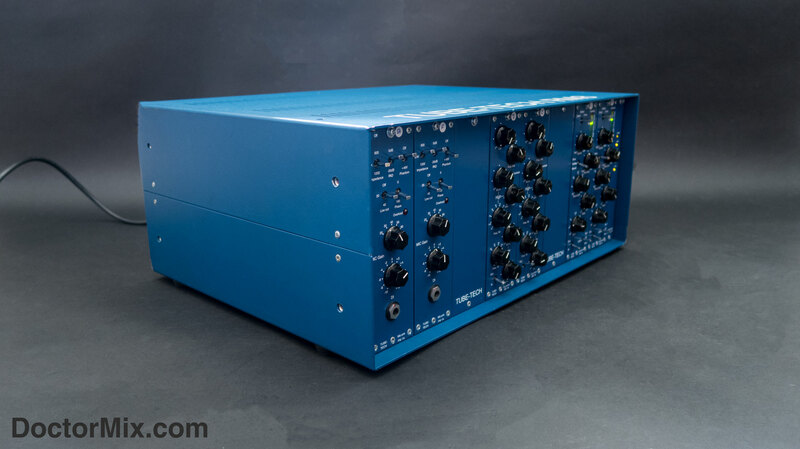 The CM 1A can be very subtle and disguise heavy compression, or quite colourful when overdriven and used for parallel compression.